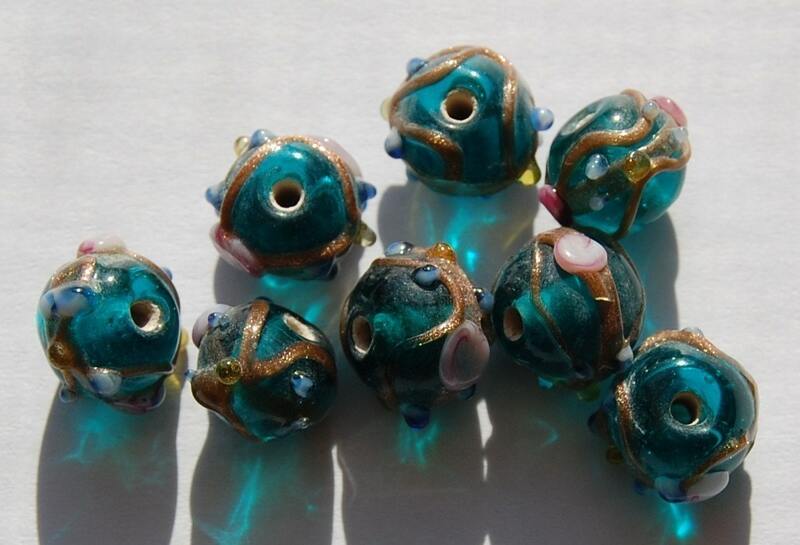 These are a very pretty bead. They are from at least the 1980s to early 1990s. They have a gold band with dots of lavendar pink and smaller dots of two tone blue. These are really attractive. These measure 8mm X 10mm. You will receive 8 of these. Terriffic beads with so many uses. Thank you! 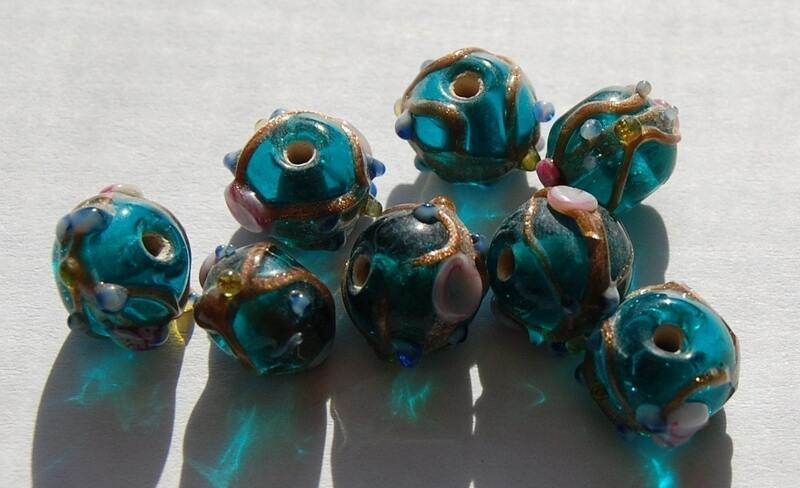 Love these exquisite beads! Very pleased with entire purchase! I am happy and satisfied. Thank you!